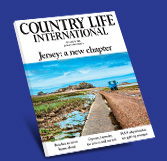 Planning to move to the Jersey, want to know more about living there? Jersey offers a high quality of work/life balance but each island is unique. The QRC team offer the following services to help you research your options of what your life in Jersey could offer you, so you can make an informed decision pre relocation. Once you move to your selected island we will make sure you know where every thing is located in your new neighbourhood. Compare and contrast Jersey to find out which island is going to be right for you. Independent property market advice and information. For corporate clients we offer short orientation tours of the island tailored for the candidate that you are interviewing and hoping to recruit. Organisation of introductory orientation visits to get a feel for Jersey, the different neighbourhoods and the type of properties available within budget. Accompanied orientation tours post-arrival, to help clients find their way around quickly, learn about their new neighbourhood and make the most of the local infrastructure and facilities. The QRC team have all lived in Jersey for a number of years and enjoy sharing the benefits of living within Jersey’s communities, so if you would like to find out what living here offers or just want to compare your options please get in touch, we would love to help guide you and help your relocation decisions to be made.